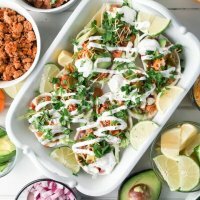 This Turkey Taco Bowls recipe has got to be one of the easiest dinners one can make to feed a crowd and include big flavors. It would be perfect as a Game Day recipe or any kind of casual dinner gathering. 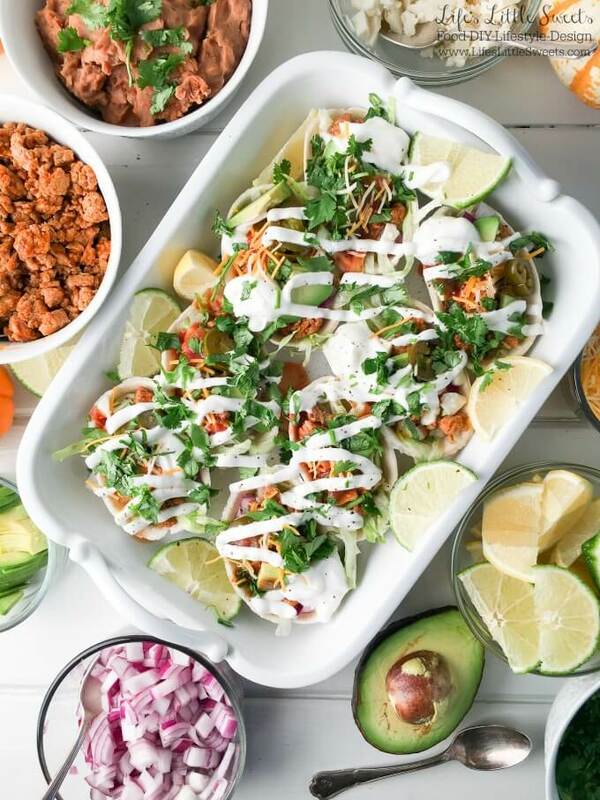 This Turkey Taco Bowls recipe has lean ground turkey instead of beef or pork for a healthier option, Old El Paso Traditional Refried Beans, fresh avocado, chopped cilantro, lemon & lime wedges to garnish and fat free Greek Yogurt instead of sour cream for a lighter, healthier option. 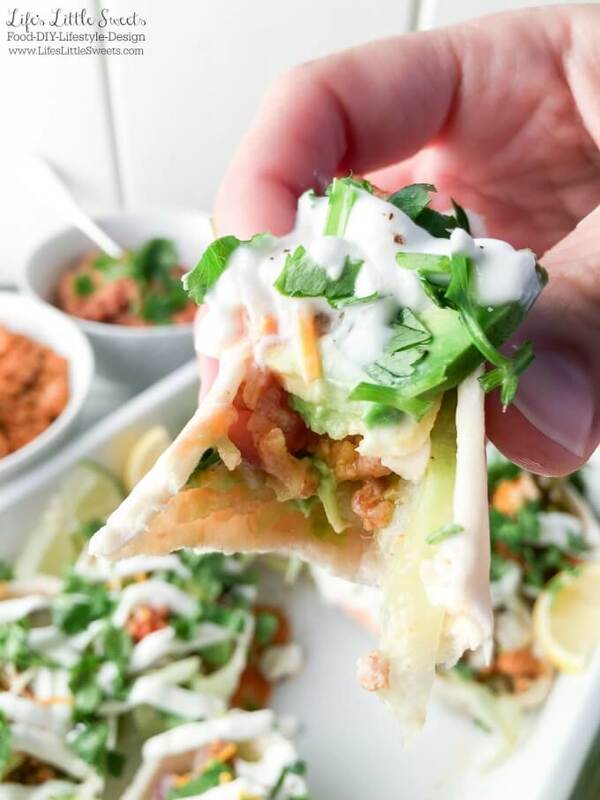 They are served in Old El Paso flour tortilla boat which are ingenious for keeping all these delicious ingredients together in one place – no more taco ingredient falling out here! 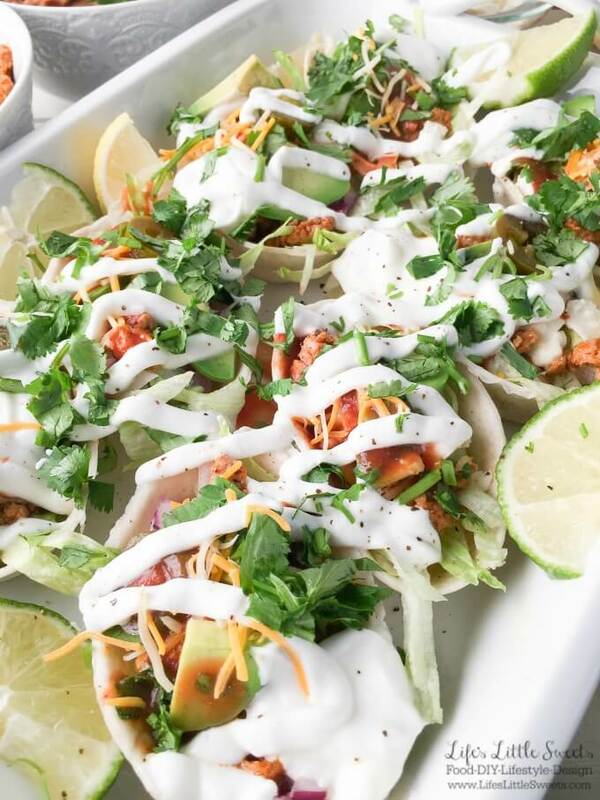 I used several Old El Paso ingredients to make this Turkey Taco Boats recipe. 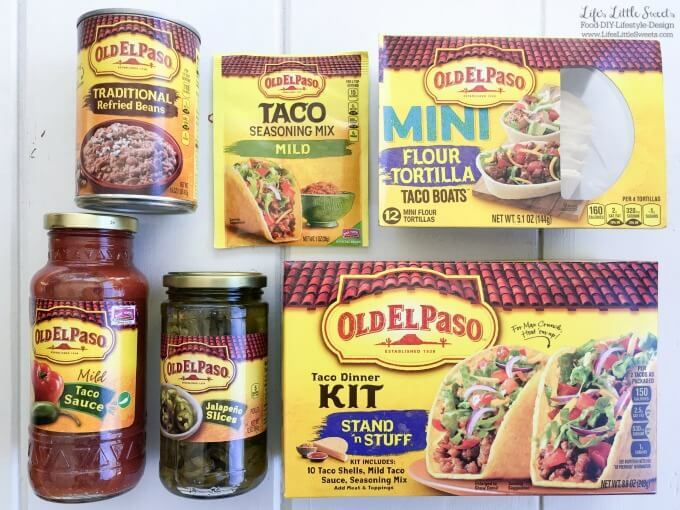 I found the Old El Paso ingredients in the Hispanic foods section at Walmart and it was nice to find most of the ingredients for the recipe in one place! 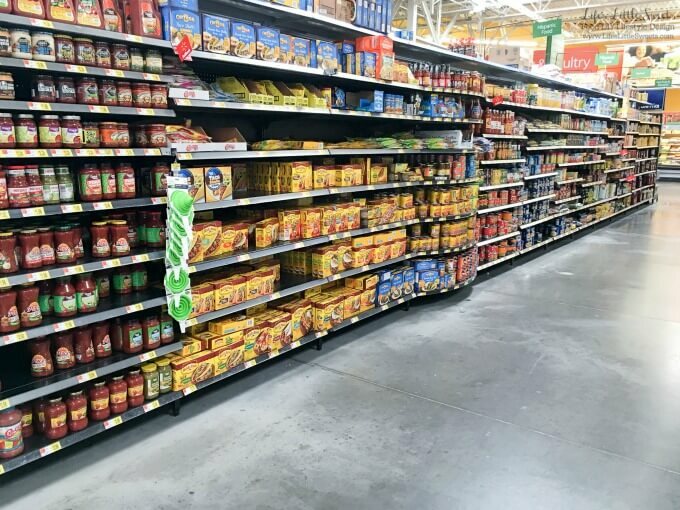 Old El Paso ingredients can be found in the Hispanic foods section at Walmart. Prepare 1 lb. of lean ground turkey according to Old El Paso seasoning packet. Heat Old El Paso Flour Tortilla Taco Boats according to instructions on packet. Heat up Old El Paso Traditional Refried beans according to instructions on can. 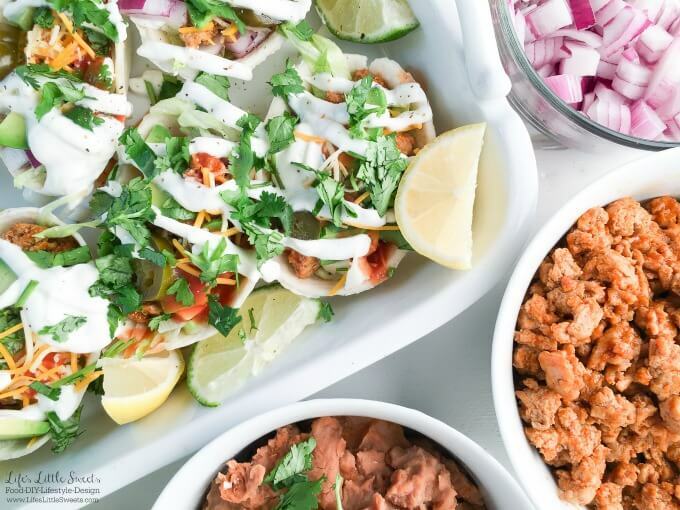 Serve Turkey Taco Boats "buffet" style with fresh chopped cilantro, optional chopped tomatoes, chopped red onion, Mexican cheese blend and/or Queso Fresco. 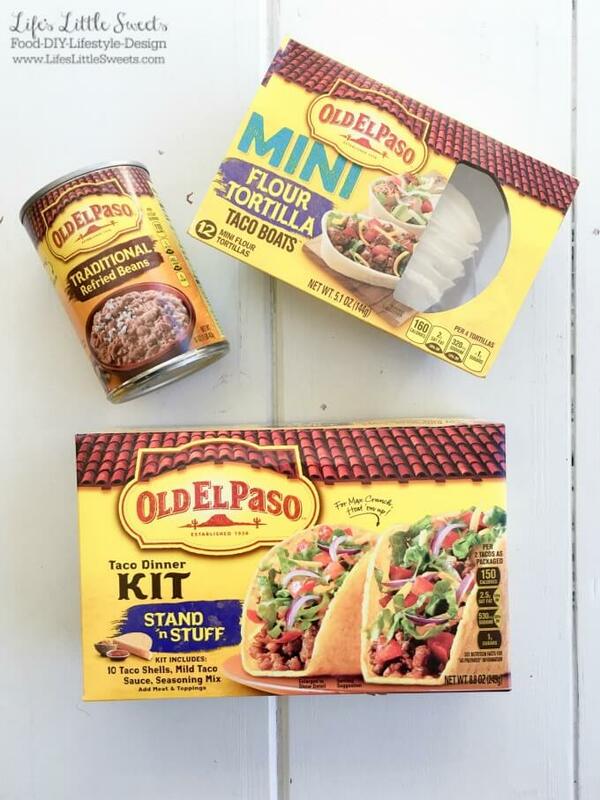 You can also optionally serve with Old El Paso Hard Shell Tacos. Serves 12 tacos. Enjoy! Pin This to your “Dinner” Board!